In recognition of his pioneer geological exploration of the Canadian Northwest, and his distinguished services as Deputy Minister of Mines and Resources of the Dominion of Canada. Of the scores of prominent engineers who were born, raised, and educated in Canada, and who rose to prominence in the mineral industries of the North American continent, Charles Camsell is easily one of the best known, not only as an expert on mineral resources but also as a scientist, explorer, and fearless pioneer who has spent a long and active life assisting in the development of the more than a million square miles that constitute the Northwest Territories of Canada. Charles Camsell was born at Fort Liard; in 1876, the son of Captain Julian Camsell, chief factor for the Hudson's Bay Company. He received his early education at St. John's College at Winnipeg and his A.B. degree from the University of Manitoba, in 1894. He took post-graduate work at Queen's University, Kingston, and at Harvard and Massachusetts Institute of Technology, mostly in geology. From 1894 until he took charge of the British Columbia office of the Geological Survey in 1918, he spent most of his time exploring the Northwest Territories. The account of his travels as geologist in the MacKenzie River basin, and west to the Pacific, around Great Bear Lake, in the Moose River basin on James Bay, in the country around the Severn, Stewart, and Peel rivers, between the Peace River and Great Slave Lake, and of his explorations, which put Talston River on the map, is a thrilling tale of adventure, hardship, and discovery and fits him to be the Canadian counterpart of our own famous Daniel Boone. 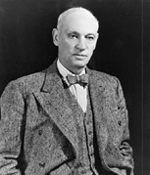 In 1920 Mr. Camsell was appointed Deputy Minister of Mines and Resources, an office that was broadened in 1936 to include the Department of the Interior, Immigration, and Indian Affairs. He is also Commissioner of the Northwest Territories, which he knows more intimately than any other man. His accomplishments as an engineer and his character as a man have brought him many honors: an honorary doctor's degree from Queen's University, the presidency of the Royal Society of Canada, the presidency of the Canadian Geographical Society, and fellowships and officerships in many other organizations, including the office of director of A.I.M.E. from 1939 to 1945.